The Presidents’ challenge is to get 100% participation in Quilts to Share!! 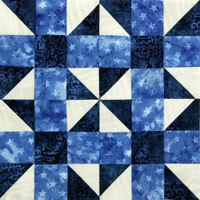 Quilts to Share is KQ’s mission so we want to place that in the forefront this year. Who Benefits from Our Quilts? 1) Bremwood Residential Treatment Center 2) Honor Flight pillow cases 3) Veterans quilts 4) Hospice quilts 5) Gifts to sell for auction or at the Quilt Show to raise money for Quilts to Share. 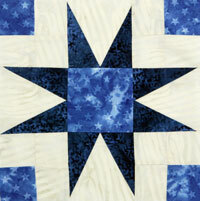 The President's challenge quilts will be shown at this month's May meeting. You can find all the directions for each row by reviewing this past year's monthly newsletters. This years President challenge is to complete pillow cases for ConKerr Cancer. We want to see how many times we can circle the meeting room in May when we hang up the pillowcases. Imagine how many we could have if everyone made just one a month. Janet Koehler Challenged us with a BOM (Block of the Month Challenge) that was completed on May 18, 2015 by assembling the quilt tops at the Morning workshop. 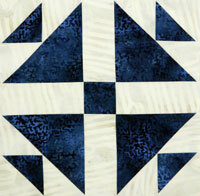 Below are the blocks and a link to the pattern. It has been several years since KQ has issued a UFO Challenge and it is time to dig out those old projects and make some decisions about them. If you choose to participate, this is your assignment for May and June: Registration forms are available at the May meeting or email me at lnorthey@cfu.net and I will email you the form. List each unfinished item (no more than 10) and for each project, indicate what needs to be done. The item must be in progress. IF the fabric for the project has not been cut by June 1st, it does not qualify as a UFO. If you choose, fill in the optional sections estimating the time it will take and a deadline YOU select. Many people work best with a deadline! Do keep in mind that you are planning to complete ALL of the projects by May, 2016. Bring your completed form to the May or June guild meeting and turn it in to me. Starting in July, you will check in with the UFO committee to check off your completed project. There will be a separate show and tell for UFOs at the meeting and you will receive a different colored ribbon acknowledging your accomplishment. In addition, there will be some small rewards along the way. At the May 2016 meeting, we will wrap up our challenge by recognizing all participants and the progress they made. 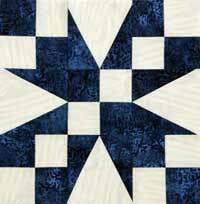 Submit to Laurel Northey at the May or June Guild meeting. ** The item must be in progress. IF the fabric for the project has not been cut by June 1st, it does not qualify as a UFO. DO NOT list more than 10 projects.